The Certified Nurse Aide provides assistance to patients and residents in a variety of healthcare and long-term care facilities. In Massachusetts, the American Red Cross (ARC) manages the CNA testing process and works in conjunction with the Massachusetts Department of Public Health (MDPH) in the Health and Human Services agency to determine testing eligibility for people in a variety of circumstances. The CNA has daily contact with patients and residents, ensuring their safety and well-being. There are approximately 171 Certified Nursing Assistant training programs in Massachusetts that are offered at educational facilities and in healthcare settings, like rehabilitation centers and long term care facilities. The following steps are for people who are interested in becoming a CNA in Massachusetts for the first time and are required to complete training and take the Nurse Aide Competency Evaluation exam in order to get their name entered in the state Certified Nurse Aide Registry. There are waivers and exceptions to training and/or testing requirements for certain people which are described in the “Get Listed in the Nurse Aide Registry” section. Selecting one of the CNA programs in Massachusetts is easy for most people since there are so many offered across the state on a year round basis. Programs are offered at technical high schools, career academies, vocational schools, training centers, community colleges and other types of educational facilities. The American Red Cross (ARC) also offers a number of classes at various facilities in Boston, Cambridge, Peabody, Waltham and Worcester. The following school table, updated in June 2017, includes state approved Certified Nurse Aide programs in Massachusetts. You can take day programs, evening programs, adult programs, nursing home programs, high school programs, etc. Fall River Bristol Health Care Training Services, Inc.
Tewksbury Middlesex Healthcare Training Centers of America, Inc.
Waltham Middlesex Medical Career Center, Inc.
Worcester Worcester Medical Career Center, Inc.
Lowell Middlesex Spectrum Healthcare Training Center, Inc.
Lynn Essex Spectrum Healthcare Training Center, Inc.
One of the attractive features of becoming a CNA is that it takes a relatively short time to qualify as one. For example, the American Red Cross offers a combination Nurse Assistant Training and Home Health Aide certificate program in Lawrence, MA. It takes four weeks attending full-time. The fee is $1,250. The Bristol Community College offers a 6 credit CNA class that takes a semester to complete. The cost of tuition and fees is $1,233. While the costs of attendance are similar, one program is shorter than the other and does not earn college level credits. Students usually incur other expenses beyond tuition and fees for items like scrubs, textbooks and exam fees. When estimating costs, be sure to include all the expenses. Financial aid is available for credit classes in most cases. For noncredit training programs, there are several options. One is to work and train in a Medicare or Medicaid funded facility. Federal law requires the employer to pay for the cost of training and testing, meaning someone can become a CNA for free. If completing a program through the ARC or an educational facility in Massachusetts, it is possible the student may qualify for state workforce training funds which would also lead to free training. In any situation, it is always wise to discuss available financial aid with program staff or the financial aid office. There may be other prerequisites, but these are the most common ones a student is likely to find. A CNA training program is composed of classroom, laboratory and clinical training. Many of the CNA classes in Massachusetts frequently instruct people who want to become a Certified Nurse Aide while also offering training as a Home Health Aide. The CNA training program in Massachusetts must be at least 75 hours of classroom and clinical training. A Home Health Aide can work for non-medical agencies to provide assistance to people in their homes. A Certified Nurse Aide can work as a Home Health Aide, but a Home Health Aide cannot work as a CNA. Following are some examples of the types of topics and skills covered in state-approved CNA classes. Basic nursing skills, i.e. taking vital signs, collecting specimens, caring for the resident’s environment, etc. Assisting with personal care, i.e. bathing, dressing, oral hygiene, etc. Responding to various types of behaviors, i.e. confusion, depression, delusions, anger, etc. This is not a complete list but gives a good idea of the subject matter and skills taught during CNA training in Massachusetts. The ARC has a sample Knowledge Test in their online information guide. The Clinical Skills Test is certain to include grading on handwashing plus several other skills like use of a bedpan, catheter care, grooming and patient positioning. The ARC guide provides a list of the clinical skills the exam taker should know. The scenario the applicant is tested on will include multiple activities that are scored. There are two parts to the NACE (acronym for Nurse Aide Competency Evaluation), CNA certification in Massachusetts requires passing both parts of the exam. The first part of the CNA state exam in Massachusetts is a knowledge test that has 60 questions in the multiple-choice format. The knowledge test asks questions that are derived from information and skills taught during the CNA training program. The applicant is allowed to take the knowledge test four times. If unable to pass the test within four attempts, it is necessary to go through the CNA training program again and to retake the test. The second part is the clinical skills test. The clinical skills test presents a scenario that simulates one that would typically occur in a real world setting while providing patient or resident care. The applicant is allowed to take the clinical skills test three times. If unable to pass the skills test within three times, it is necessary to attend the CNA training program again and to retake the test in Massachusetts. If an applicant fails one test but passes the other one, it is only necessary to retake the test that was failed. Once an applicant passes both parts of the NACE, she or he is listed in the Massachusetts Nurse Aide Registry. The American Red Cross sends the person’s name to the Registry. 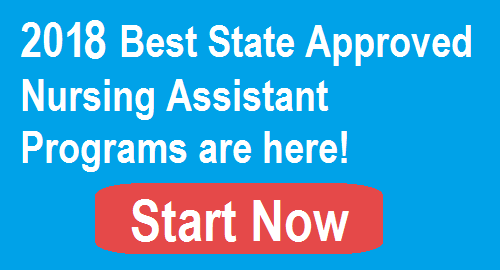 Anyone who completes a state-approved training program is eligible to take the examination. However, there are a few situations where the person’s name can be directly placed into the Registry, or the applicant does not have to complete CNA training and can immediately sit for the CNA exam. These certification requirements are specific to the status of the applicant. If someone is from out of state and applying for reciprocity, it is necessary to complete and submit a Reciprocity Application to the other state’s Nurse Aide Registry. The out of state Registry verifies out of state CNAs are in good standing. Once the application is returned to the applicant, it is forwarded to the American Red Cross Massachusetts Nurse Aide Program. Once approved, the ARC will have the person’s name added to the Massachusetts Registry. If the applicant has allowed the CNA certification to expire in the other state, she or he cannot apply for reciprocity. It is necessary to take the NACE. If someone completed an out of state CNA training program within the last two years, it is possible to request a training waiver by submitting the Nurse Aide Training Waiver Application to the MDPH. Nursing students who have completed at least 75 hours of clinical training at an accredited nursing school within the last two years can request to have the training requirement waived and immediately test. A school transcript provides the required documentation. Submit the Nurse Aide Training Waiver Application to the MDPH. A nurse aide employed by a Massachusetts’ nursing home on December 19, 1989 who had worked at the facility for at least two years can immediately sit for the exam. The nursing facility provides the verification of employment which substitutes for training. Apply to take the NACE. A person who is currently working in a long-term care facility may qualify for a training waiver. There must be no interruption of employment of more than 10 weeks and must have been employed as a full-time CNA for at least one year out of the previous three years, OR 100 days out of the last year. Submit the Nurse Aide Training Waiver Application to the MDPH. If a person passed a 100-hour nurse aide training course before July 1, 1989, additional training is not required. The applicant must take the NACE. Submit a Testing Eligibility Application to the MDPH, and once approved, apply to ARC to take the test. Submit the Nurse Aide Training Waiver Application to the MDPH. A person who has successfully completed an HCA (Health Care Aide) training program within the previous five years, and has been employed for more than two years since training completion, can request to immediately sit for the exam without completing a CNA training program. Submit a Testing Eligibility Application to the MDPH or ARC, and once approved, apply to ARC to take the test. Registry certification is good for two years with the expiration period determined by adding two years to the last employment date. To renew CNA certification in Massachusetts, it is necessary to work at least 8 hours as a paid Certified Nurse Aide during the two year period. If the CNA did not work during the 24 months, it is necessary to retake both parts of the NACE. Verify Certified Nurse Aide certification status here.